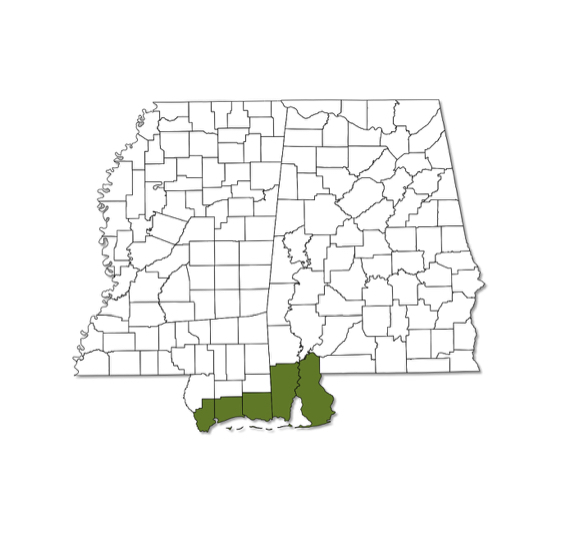 Currently only known from the southern most row of counties in Mississippi and Mobile and Baldwin counties in Alabama. Wings dark brown with black margins on the dorsal surface and black veins and margins on the ventral surface. Numerous white spots on both upper and lower surfaces of the wings and on the lower surface of the thorax. Males have a distinct black patch on hindwing vein, which is missing in females.